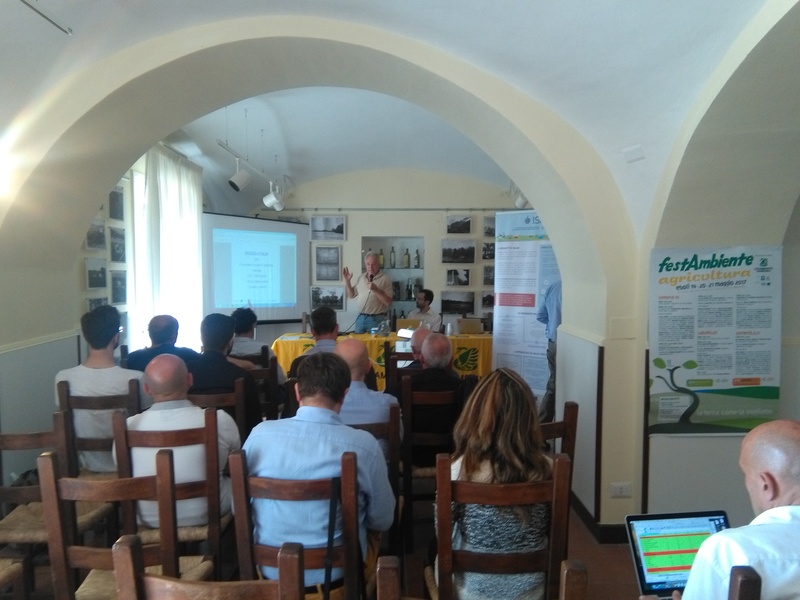 The meeting was held at the “Improsta”, a Regional Experimental Agricultural Company in Eboli (SA) during “Festambiente Agricoltura”. 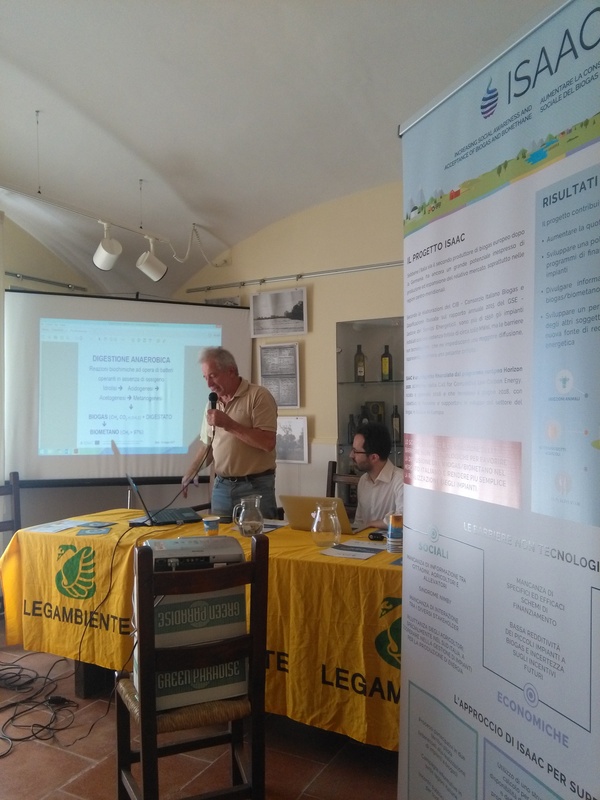 The meeting took place within the event “Festambiente Agricoltura”, a three-day awareness raising on the theme of agriculture organized by Legambiente. 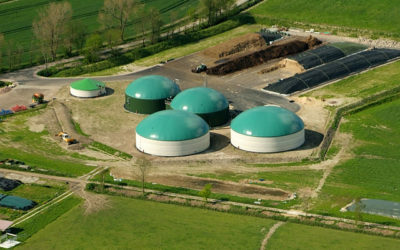 Specifically, the technical table on “biomethane from breeding and agricultural residues” was moderated by the President of Legambiente Campania, Michele Buonomo, who introduced the topic of biogas production from livestock effluents, particularly bovine manure. The topic was very interesting because several dairy companies are located in Campania, with an high production of milk and cheeses, especially buffalo. 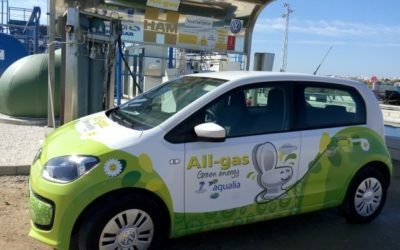 In the recent past, a study promoted by Arpa Campania (the reginal agency for Environmental protection) highlighted the importance of wastewater management in the dairy industry and stressed how it can become sustainable by using the wastewater to produce biogas. 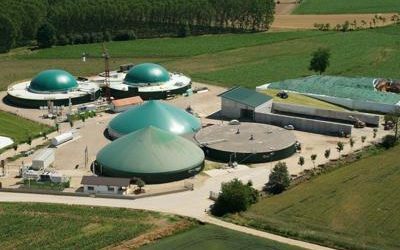 Beppe Croce, the Agriculture Manager of Legambiente, who after presenting ISAAC, discussed on the anaerobic digestion technique, the importance of the appropriate management of digestate, with the possibility of its re-use in soils as a fertilizer, and the obstacles to the biogas development in Italy, especially in southern Italy. 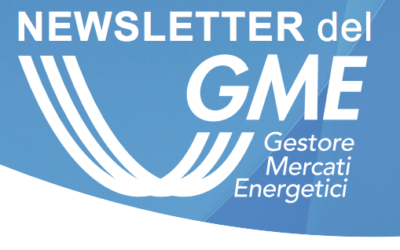 Beppe Croce has repeatedly stressed out that the good management of these processes should proceed simultaneously with participatory processes, to overcome social distrust. 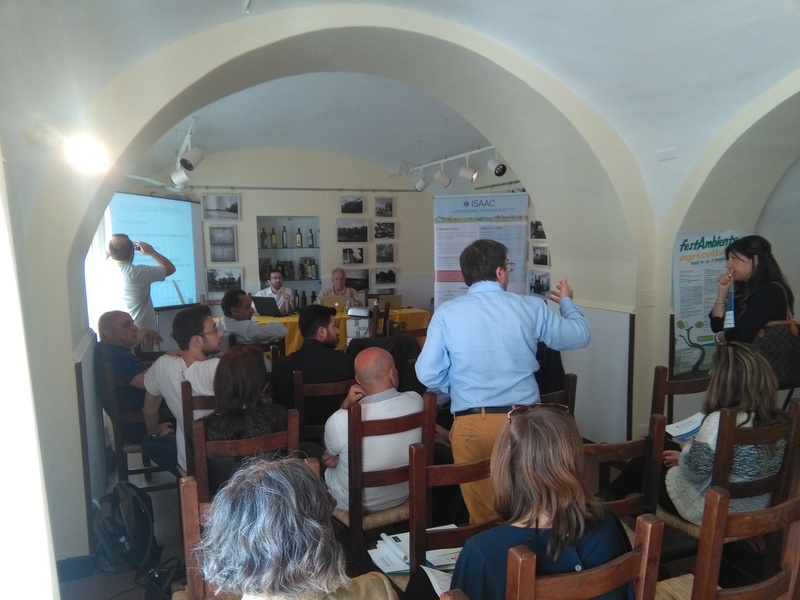 The audience was interested and interacted with quality interventions, giving the opportunity to express their thought to some owners and managers of Piana del Sele farms, where biogas plants have already been installed, and to some researchers at the University of Salerno, whose studies are relevant to the topics of the meeting.